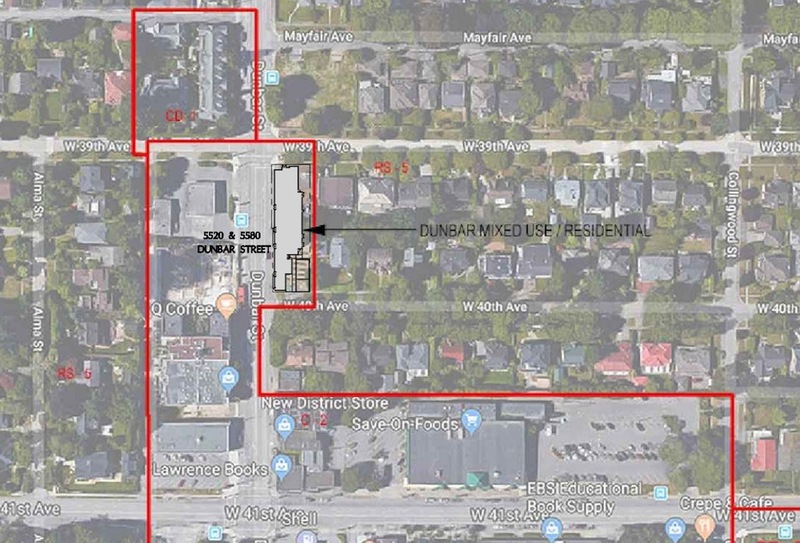 A largely underutilized property at 5520 Dunbar Street could become a new 48-ft-tall, four-storey mixed-use building with homes and retail. 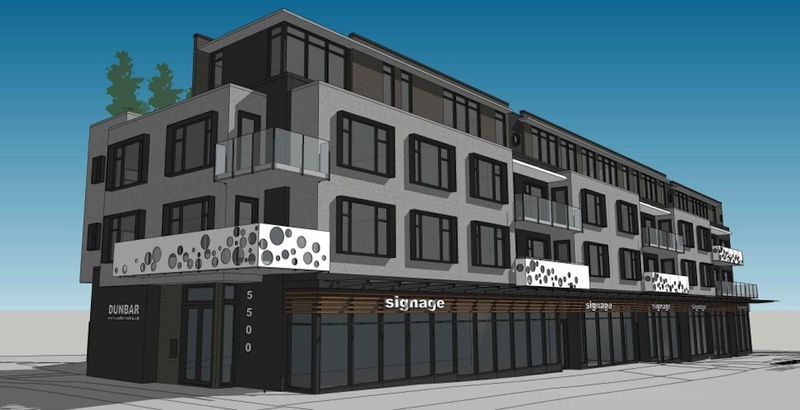 Wensley Architecture has submitted a development application to the City of Vancouver to turn a narrow lot at the southeast corner of the intersection of West 39th Avenue and Dunbar Street into 14 market homes within the upper floors and 5,700-sq-ft of retail space on the ground floor. The lot, which fronts Dunbar Street and is just across from the H-Mart grocery store, is currently occupied by a single-storey commercial building, ground-level parking, and a temporary community garden. The size of the lot is equal to two single-family dwellings put together. “We chose a modern rectilinear aesthetic with simple colliding geometric forms that we felt best raises the mixed-use character of this community’s emerging commercial hub,” reads the architect’s design rationale. The proposed total floor area is 23,000-sq-ft, providing the proposal with a floor space ratio density of 2.05 times the size of its lot. There will also be one underground level of parking accessed from West 40th Avenue.